When you think all inclusive, you think couples, right. Who said couples and families should have all the fun. What about the solo, travelers who want to enjoy the beach, the sun, and all the free drinks at no extra cost. St.Lucia has a variety of all-inclusive hotels and we just wanted to show you which ones are the best for solo or single travels. The Body Holiday St.Lucia has the motto Give Us your Body for a Week and We’ll Give you Back your Mind. This would be the perfect all-inclusive resort for a single. Staying at this resort, you enjoy the many different facilities. They look at everything from the guest point of view. If you are traveling solo, you are probably looking to find yourself. The Body Holiday can definitely help you do that. Some of the top reasons to visit this all-inclusive resort is first to get a piece of mind from the everyday life. I am sure most of us have that 9 to 5 job sitting in the same position for hours on hours. Battling stiffness in the body is one of the services that this resort provide. Getting rid of muscle pain caused by exercise or not enough movement is another benefit provided. Say goodbye to stress when you stay at the Body Holiday. Laure Anne, an Osteopathic Practitioner has a series of manipulations for the body that will leave you feeling stress-free and renewed. Although the Royalton Resort is open to everyone, it is not just for the couples in love. Solo travelers can enjoy the pleasure of this all-inclusive resort and all its many amenities. Enjoying your time alone, why not take advantage of their 24-hour concierge service. After all, you deserve to be spoilt and get some 24-hour room service. They have a spa that will leave you feeling refreshed and renewed. Let someone else take of you for once and enjoy a full range massage and a facial that will leave your face feeling younger and fresher. If that’s not enough, the food from the variety of restaurants are to die for. You can have a different flavor of food for every night of the week. Whether you want Mexican on your first day to the soul of the Caribbean on your last day, this all-inclusive resort will have your taste buds screaming for more. Coco Palm Resort is one of the smaller all-inclusive resorts on the island. That’s what makes it perfect for our solo travelers. Staying at this resort, you will feel right at home. Once you get there you will get the feeling that the staff has been waiting for your arrival. This all-inclusive resort is also very accessible to the malls, groceries, and bus stops if you decide you want to visit the island like a local. If you are looking for a more relaxing quiet atmosphere, then this is definitely the resort for you. The food at this resort is quite something to talk about. Your mouth will be watering at every meal from breakfast to dinner. You will not be disappointed with the bar. Drinks and snacks at the bar are in abundance, from buffalo chicken wings to nachos, they got it. Solo trip you say, why not stay at the Papillion by Rex Resort All-inclusive Resort. Leave the husband and kids behind. It is time for you to be a kid again. This resort is a five-minute walk from the casino, so if you feel like winning some money, you don’t have far to go. Another great thing that’s not too far from this all-inclusive resort is the pigeon island splash pad. So get your swimsuits ready and jump around like you are 10 years old again. I promise you will feel like it. If you do decide to drive on the island, parking at this all-inclusive resort is free. There are also many activities that you can get into, like water sports and horseback riding. The staff at this resort are phenomenal and they will try to look after your every need. Coconut Bay Resort and Spa is the perfect getaway for a solo traveler. This resort comes in two parts. There is an area where you can enjoy the company of meeting new people and their families, which is coconut bay or you can enjoy some peace and quiet at their new addition, Serenity. Serenity is usually a place for couples but there is no reason why a solo traveler can’t enjoy some time alone in peace. At Coconut Bay you can enjoy the many a la carte and buffet dining, indoor and outdoor restaurants. You can never get tired of eating at these places because there are so many different choices to choose from, you may think you are traveling to a different island for every meal. There are also many different activities a solo traveler can do to keep themselves busy at Coconut Bay. Book an hour massage at their amazing spa, walk along their mile long beach and feel the warm sand under your feet. Meet up with other solo travelers and go kayaking on the ocean. So many different things. I really hope you have time to get to all of them. These are the 5 all-inclusive resorts we think we be the best for your solo travel to St.Lucia. There are amazing resorts with so much to offer, from activities, good service, and great food. Don’t take our word for it, try out one or better yet try them all out and let us know which is your favorite. 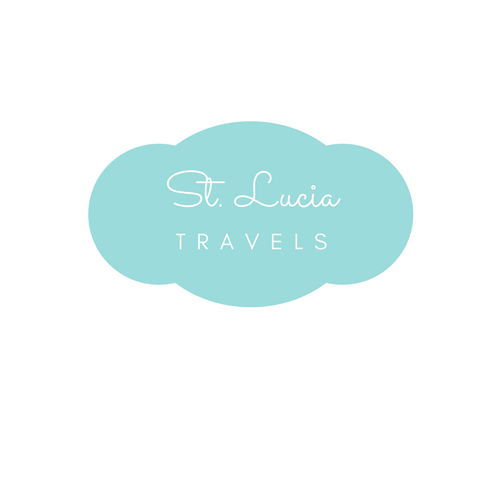 St. Lucia is one of our favorite islands to visit. The islanders are so very friendly. And it’s absolutely a gorgeous island. Have to check out all of these resorts!